Installment #3 of 17 in our series in which we cover each sustainable development goal (SDG) and how projects and project management can contribute to them. This post focuses on SDG number 3, Good Health and Well-being. This goal has 13 specific targets which include reducing maternal mortality and preventable deaths of newborns; ending epidemics of AIDS, tuberculosis, malaria, and neglected tropical diseases; strengthening the prevention and treatment of substance abuse; ensuring access to sexual and reproductive health services; and achieving universal health coverage. Some of the underlying issues behind these goals are not what one might think. For example, a large factor for maternal mortality in extremely poor countries isn’t the inability to access services but the fact that a pregnant woman doesn’t have clothes that fit when she gets to term and doesn’t want to go to the hospital naked. Let that sink in for a moment as when I first heard about this, it shocked me. Tremendous progress has been made in this area but there is a long way to go! SDG #3 is based on the premise that we as humans can’t leave humans behind, any humans. For most people, unless they have had first hand experience, it is hard to relate to someone half-way around the world that is raised in a country/culture that is completely removed from what you consider “normal”. I don’t know about you but when I am working, I drown out what is going on around me locally, politics, sports, kids on school break… This SDG is important. We must consider the impact that our products and services have on the wellbeing of others. Health and Safety goes far beyond wearing goggles and hard hats to ensuring what we create doesn’t cause harm down the line. So how can we work to achieve gains on SDG #3 through the lens of projects? How does Project Management Relate? Does SDG #3 relate to projects and project management? Think to yourself what the health and safety considerations are in relation to the project team, the project environment during the project life cycle, and the environment that the product will take root in when it is put into production. Also, ask yourself if any aspect of the project is being worked on remotely. Have any aspects been outsourced? The key here is to gain an understanding of how you can create an action plan to ensure your effort is in alignment with this goal. Once you have identified specific aspects, outline what your project organization’s approach, policies, and procedures are in relation. Do you have documented Health & Safety policies and standards? Ie. A healthy workplace, access to affordable healthcare (services, medicine, vaccines, maternal, mental health)? Does it extend to the project team member’s immediate family? If so, are they acknowledged and adhered to? Do you have maternal/paternal policies in place to support families? What health and safety considerations are being made for your vendors/suppliers? Do project contracts account for worker’s overall health and safety? If so, is weighted scoring a factor using these criteria? Is consumer health and safety a success criterion for the project’s product? Can this be measured and demonstrated? Are there industry coalitions that allow for contributions for the greater good? Can the project play a supporting role? Pirelli constantly strives to achieve the highest levels of product safety. The company’s commitment to road safety goes beyond the tire, with numerous training and awareness programs as well as ongoing research into innovative technological solutions for sustainable transportation. 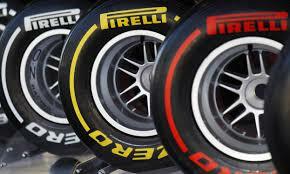 In addition to the numerous training activities the Company has organized during the last few years, in June 2016 Pirelli signed a four-year agreement with FIA in support of the “FIA Action for Road Safety Campaign” whose main objective is to raise awareness on safe driving. One of the primary goals of the campaign, launched in support of the UN Decade of Action for Road Safety 2011-2020, is to educate and better inform road users on the importance of respecting the rules of the road. According to the World Health Organisation, road crashes are today the number one killer worldwide of people aged between 15 and 29. As a Global Partner of the campaign, Pirelli will promote the FIA’s ’10 Golden Rules’ for road safety through all of its networks. Pirelli will also organise training programmes, as well as projects to raise awareness on safe driving, in collaboration with a selection of FIA Member Clubs. Dr. Joel Carboni has over 21 years in project, program and portfolio management having led initiatives in Aerospace, Finance, Government, and Technology. He has a Ph.D. in Sustainable Development and Environment, is a Certified Senior Project Manager (IPMA Level B®) and Certified Green Project Manager (GPM®). He is the founder and president of GPM Global, the International Institute for Peace and Sustainable Development, and the current President of the International Project Management Association USA (IPMA-USA) He is a medal of honor recipient from Universidad Autonoma Lisboa, AI Media's Leading Advisor Award 2017 the 2015 World CSR Congress Leadership Award, 2014 HRD Leadership & Training Award and 2013 IPMA Achievement Award He has lectured on or taught sustainable project management in 39 countries around the world.